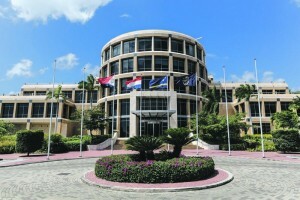 WILLEMSTAD, PHILIPSBURG - The 2017 financial statements of the Centrale Bank van Curaçao en Sint Maarten (CBCS) have recently been adopted by the meeting of Entitled Asset holders. A condensed version of these financial statements has been published on the CBCS website. The increase of the total balance of 2017 compared to the total balance of 2016 is especially related to the increase of the market price of gold. The increase of the net result of 2017 compared to the net result of 2016 is attributable to, among others, the increase of the interest rate on the international market (which contributed to the increase of the interest income) and the relative increase of the supervision fees (relative because it relates to a correction of the supervision fees in 2016 for supervision fees that the Bank probably will not be able to collect, which correction has decreased the supervision fees of 2016). The increase of the income has partially been absorbed by the increase of the depreciation expenses (amongst other issuance costs of banknotes, software applications that have been installed, licenses for software applications that have been acquired and extra depreciation on bank premises in order to align the value hereof with the appreciated value) and increase of the general operating expenses (especially related to personnel costs charged to special attention institutions, which has decreased the expenses of 2016).